Wow! It has been 2 months since I last posted and so much has happened. I am in my final year of school for becoming a teacher and it is HARD! I'm taking 16 Credit Hours worth of classes and doing 120 Hours of teaching in a classroom until Christmas... It is a lot of work! By the time I get done with school, teaching, and homework each day all I want to do is sleep! (So that is what I have been doing! I actually fell asleep at 20:00 / 8pm on Friday night!) So here is a massive post full of things that happened in the 2 months! Huge shoutout and thanks to Heaven and Laura for helping me write this post and thanks to everyone who helped to find these pieces- I tried to credit as many of you as I could remember but with 45+ engagements it was hard to remember everything! If you notice any errors or anything I am missing leave me a comment! On Tuesday, August 29th, Crown Princess Victoria handed out the Junior Water Prize to Ryan Thorpe and Rachel Chang from the United States. Victoria is patron of the prize and attends the ceremony every year that she is able to. On Wednesday, Crown Princess Victoria attended the Sami Parliament opening. Originally, no member of the Royal Family could attend due to scheduling conflicts, but after some rearranging (due to criticism about there being no representative), Victoria attended. The parliament is a body of 31 elected members who meet 3 times a year and are elected for 4 year terms. At the 2013 Parliament opening, King Carl XVI Gustaf was the representative of the Royal Family and in 2009, Crown Princess Victoria took on the duty. For this event, Victoria wore her traditional Sami dress which was sewn for her in 2009 (which is when she last attended). On Thursday, The Royal Court announced that Princess Sofia had given birth to a baby boy. The following day the royal court published this photo of the new family (minus Prince Alexander) leaving the hospital. Princess Sofia wore a H&M Nursing/Maternity Top, a new Alvhar jacket, and her Superga Platform Sneakers. Prince Gabriel wore a hat from NaturaPea and his blanket is from Soft Goat. Following the birth of the new prince, the King held his usual council where he announced the name and dukedom of the new arrival. Prince Gabriel Carl Walther, Duke of Darlana. The name they selected pays tribute to both King Carl XVI Gustaf as well as Queen Silvia's late father Walther Sommerlath. Following the council, a Te Deum was held in the Royal Chapel which the family all attended. Queen Silvia wore her Valentino floral jacket and skirt suit. Crown Princess Victoria wore her Fadi el Khoury dress (her matching Fadi el Khoury coat she wore only to the council meeting) with Gianvito Rossi shoes and By Malene Birger clutch. Princess Madeleine wore a Erdem dress and Bottega Veneta clutch. Description from the Royal Court: "25 years ago, HM The King invited to the Royal Colloquium for the first time in researchers and other experts to discuss current environmental issues. In order to pay attention to this anniversary, a seminar is held at Confidencen in Ulriksdal in the presence of HM The King and HRH The Crown Princess. The book "En värld i förändring - Kungliga miljökollokvier 25 år" is presented at the seminar, at the book the King looks back at his long environmental commitment." For this meeting, Crown Princess Victoria wore a familiar suit from Tiger of Sweden, paired with her pink Rodebjer ruffle top. 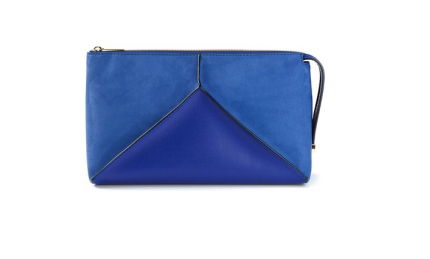 She accessorized by carrying her blue Valentino Rockstud bag and grey By Malene Birger pumps. On the the 7th of September, Crown Princess Victoria held a meeting for Crown Princess Margareta's Fund. She later met with Rosa Bandet organizers to recieve this years pink ribbon. For this meeting, Victoria wore her pink Camilla Thulin dress and Caroline Svedbom earrings. For the first time ever, Crown Princess Victoria and Prince Daniel joined the King and Queen for a diplomatic reception at the palace. A few times a year, the King and Queen have a reception where the new ambassadors can come to the Palace and meet them. For this meeting, Crown Princess Victoria wore a new jacket and skirt from Baum und Pferdgarten. I think her blouse might be her blue one from Greta and she wore her Ebba Brahe earrings. It looks like she might have a blue hairbow from Corrine in her hair as well. 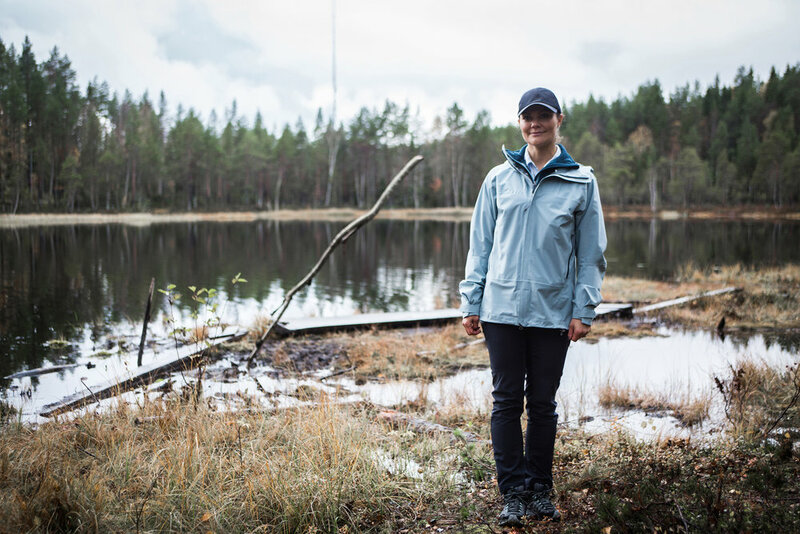 The royal court announced that apart of Crown Princess Victoria’s 40th Birthday Celebrations she was launching a series of hikes around Sweden. She started her first hike in her duchy if Västergötland. Accompanied by Prince Daniel, she got to see a wide variety of sites, tried her hand at plowing a field, and endured rainy weather bringing out her Bernadotte curls. 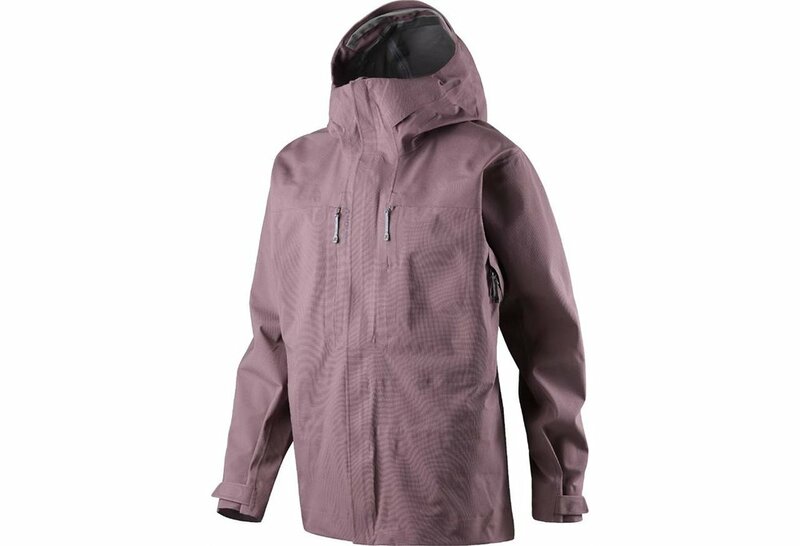 For this trip where they saw a variety of weathers, Victoria wore a fleece layer and an outer layer from the outerwear brand Houdini. Our favorite photographer Pelle managed to catch this photo of Victoria and Daniel getting off the train where we can see her carrying her blue 3 in 1 bag from Hippi Grace. Her shoes look to be from Merrell Outdoors. Keeping with the active theme of the day before, Crown Princess Victoria made an appearance accompanied by Princess Estelle, Prince Oscar, and some of her Sommerlath cousins (Helena and Guilia I believe with Helena’s husband). The day featured the Prince Daniel Race through Haga Park and a variety of sports for kids to try in an effort to get kids active. 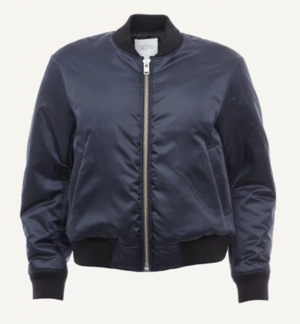 For this casual day, Victoria opted for a Bomber Jacket from Filippa K, an oversized white shirt, and her Adidas Stan Smith running shoes. Princess Estelle is seen wearing a pink bomber jacket from Lindex, a Ralph Lauren striped dress, and Chipie shoes. Prince Oscar wore a blue Moncler coat (which we can assume is a hand-me-down from Prince Nicolas), and a pair of Start Rite shoes. Crown Princess Victoria joined with King Carl XVI Gustaf for their regularly scheduled Advisory Council on Foreign Affairs. The council meets regularly to act as facilitator of discussion between the government and the parliament. The King acts as advisor of this council. The photo is too far away for me to figure out what the Crown Princess is wearing. On September 12th, the King, Queen, Crown Princess, Prince Daniel, Prince Carl Philip, and Princess Madeleine attended the opening of the Riksdag (Swedish Parliament). 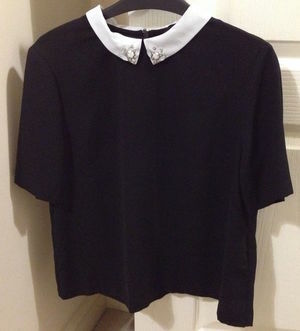 In a nod to the formal dress code of the past, the royal ladies always wear black and white. Victoria wore her Milly jacket with a white dress and Tabitha Simmons shoes. Madeleine wore a UFO jacket and dress with her Jimmy Choo shoes and Marc Jacobs clutch. In the evening, the family attended the annual concert held after the Riksdag opening. Victoria wore her MaxJenny dress and Stella McCartney shoes. Madeleine wore a new Zara dress (thanks to parents_pearl on Instagram) with her By Malina jacket, Christian Louboutin shoes, and Valentino clutch. On the 13th of September, Crown Princess Victoria met with the government members at the Royal Palace. The first meeting was with her parents and Prince Daniel, and the second meetin was solo. For this meeting, Crown Princess Victoria wore a new skirt from H&M and looks like she wore her Stella McCartney pumps. Also on the 13th of September, Princess Madeleine attended a seminar hosted by Min Stora Dag in Stockholm. She arrived with her cousin Patrick Sommerlath. On the 14th of September, Crown Princess Victoria braved the rain to join the King for the 2017 Stockholm Security Conference. For this meeting Victoria wore Stylein coat, Stylein pants, new By Malene Birger Flanora top and pumps, and her blue Valentino bag. On the 16th of September, Crown Princess Victoria was in Finland for an opera performance celebrating Finland's 100th Year Anniversary. Victoria wore her Daisy Grace top, Camilla Thulin skirt, Stella McCartney pumps , UFO clutch, and her Caroline Svedbom earrings. For this lecture, Crown Princess Victoria looked pretty in pink wearing her Ralph Lauren dress, Valentino bag, Gianvito Rossi shoes, Luc of Sweden Horseshoe Necklace. In the morning of September 22nd, the Stockholm based royal family attended a private memorial service for Alice Trolle-Wachtmeister. In the evening they hosted their annual Sverigemiddag at the Royal Palace. For this dinner, Crown Princess Victoria and Queen Silvia surprised by both wearing full length gowns (normally one female in the family wears a short dress and one wears a gown). Queen Silvia wore a purple Yuki gown (and pulled out a necklace that was Princess Lilian's!). Crown Princess Victoria wore a new gown from H&M Conscious Collection with her favorite Elie Saab clutch. Her pumps look to be her Dior pink pumps. On Sunday, the Prince Couple Family took a stroll out to Aurora 17 to the military exercises that were taking place. The family lives a short walk away from the activities so this was a nice Sunday walk for them to take, said Princess Sofia. From the photos posted on Instagram, Prince Gabriel was with them but in a carriage. You can see Princess Sofia wearing a striped shirt and a pair of sunglasses from Max Mara. Princess Estelle's Attire found Prince Alexander to be wearing a set from H&M. On Tuesday, the Crown Princess Couple hosted a lunch for a panel of experts through their Foundation. These experts met to update them on news, changes, and to advise them if the initiatives that their Foundation supports are effectively improving health and community. For this lunch meeting, Crown Princess Victoria wore her Baum und Pferdgarten blazer and a newBaum und Pferdgarten top. 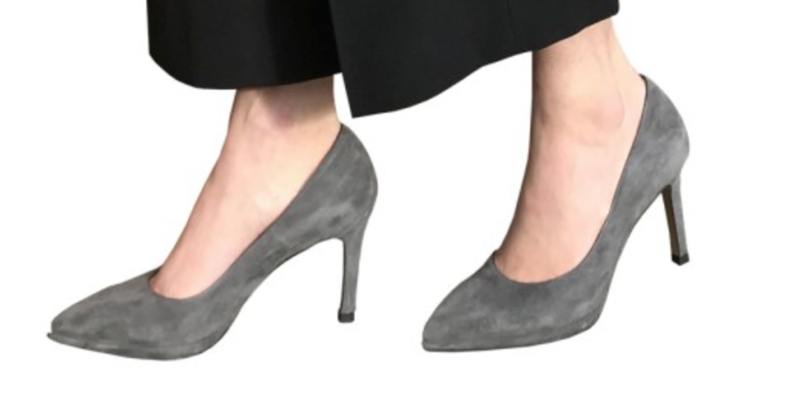 While it is hard to see from this photo, she appears to be wearing her blue pumps- either the new pair she debuted this month or her favorite Saint Laurent pair. On Thursday, 28 September- a surprise appeared on social media! Princess Sofia and Prince Carl Philip gave an unpublished meeting for author Caroline Engvall at the Royal Palace in Stockholm. Deducing by Princess Sofia's hair- this is the same day that they took the family photos released early in October. For this meeting, Princess Sofia wore a new dress from MQ's store brand Stockh lm in collaboration with Maria Westerlind. On Friday, Generation Pep (Gen Pep) the initiative of the Crown Princess Couple's Fund, shared this video of Princess Estelle and Prince Daniel creating and using an obstacle course outside at Haga Palace. In the video, Princess Estelle can be seen wearing pieces from the Gen Pep collaboration with H&M. Also on the 29th of September, Crown Princess Victoria and Princess Estelle visited the Askö Laboratory to learn about the research they do on the Baltic Sea. For this outdoor visit, Crown Princess Victoria wore another new jacket from Houdini. Princess Estelle wore a jacket from Patagonia. On the 1st of October, the Swedish football player Issac Kiese Thelin shared a photo of Crown Princess Victoria on a flight back from Belgium. We can only assume that Victoria was over visiting her goddaughter and the rest of the Belgian Royal Family. Underneath her coat we can see Victoria wearing a top from a past season of Mayla. Also in October 1st, someone posted that they had met Crown Princess Victoria, Prince Daniel, Princess Estelle, and Prince Oscar walking in Haga Park. The post was accompanied by this photo of Victoria. Also on 2 October, Queen Silvia and Princess Madeleine were in New York City for various engagements. First, they attended a UN meeting called Achieving the Sustainable Development Goals for Children: Collective Actions and Innovative Solutions. The meeting brought players from various sectors together to discuss how to put children first and achieve the Sustainable Development Goals. Silvia spoke at the meeting and highlighted that October 2nd is Gandhi's birthday and International Nonviolence Day. Princess Madeleine wore her Dorothee Schumacher jacket, an old UFO top, Manolo Blahnik shoes, and Valentino bag. Queen Silvia wore a skirt from Escada and a jacket that looks suspiciously like one of their dresses but they deny it to be theirs. In the evening, Silvia and Madeleine attended the World Childhood Foundation's Annual Thank You Gala. The World Childhood Foundation was founded by Silvia, and Madeleine serves as an honorary board member. The Thank You Gala is an annual fundraising dinner the charity holds in New York. Queen Silvia wore her Alexis gown with Jimmy Choo pumps, while Princess Madeleine wore her Self-Portrait gown (although with a new black lining this time). She added her Valentino clutch and her diamond and aquamarine earrings. On October 3rd Crown Princess Victoria attending the opening of the Church Council at Uppsala Cathedral. This is an annual event on the Royal Family's Calendar with different members attending each year. This year, Crown Princess Victoria wore a new Rodebjer dress (found by Laura), UFO shoes, a Nancy Gonzalez bag, and Misst Jewelry earrings. The day following the Thank You Gala, Queen Silvia and Princess Madeleine attended the International Council Meeting for Childhood held in New York City. This meeting included advisors, board members, and representatives from each of the organization’s headquarters (Germany, Brazil, Sweden, USA). For this meeting Princess Madeleine can be seen wearing her Rebecca Taylor jacket. On October 4th Crown Princess Victoria and Prince Daniel attended the 125th Anniversary of the Open Air Promotion at Haga Park. For this active engagement, Crown Princess Victoria wore a new Dagmar jacket, By Malene Birger top, Adidas shoes, and Valentino bag. Crown Princess continued her series of walks around different areas of Sweden on October 6th in Vasterbotten. During her visit, she opened the Arena Park. For this very eventful day, Victoria wore a new outer jacket from Houdini, matching fleece jacket, and pants (all from that brand. She once again wore shoes from Merrell Outdoors. On October 7th Crown Princess Victoria was in Serbia and served as one of the witnesses for the wedding of Prince Philip and Danica Marinkovic. She wore her H&M Conscious Collection gown (first seen at the representation dinner), Elie Saab clutch, and Krueger earrings. For these photos Princess Sofia wore a new Veronica Virta jacket and her Lindex dress first seen in Alexander's first photos. 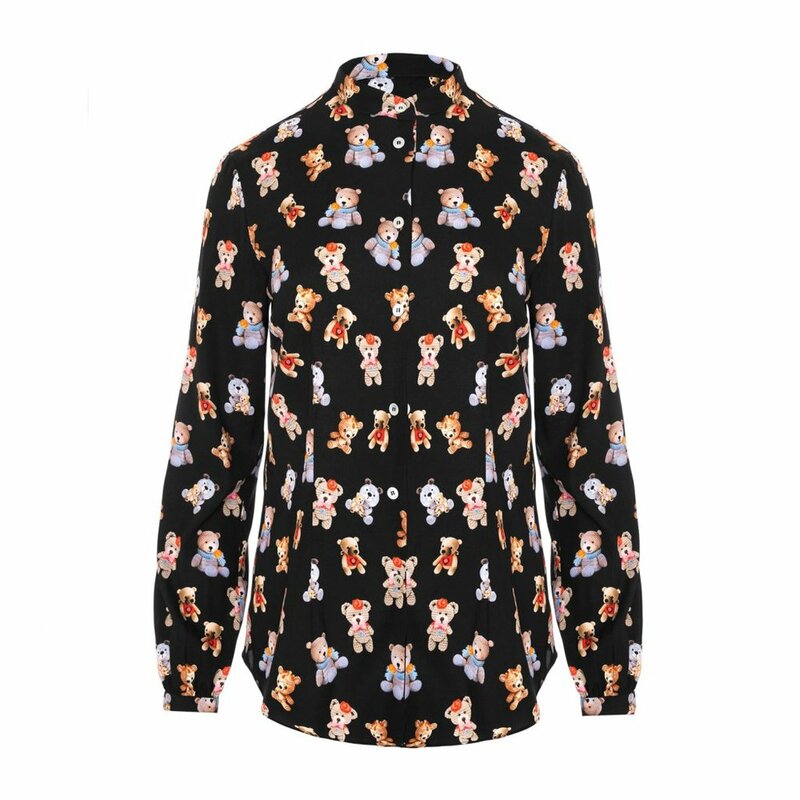 Prince Alexander wore a sweater from Gant with Kavat shoes. Crown Princess Victoria attended a meeting at the Stockholm Chamber of Commerce on October 10th. 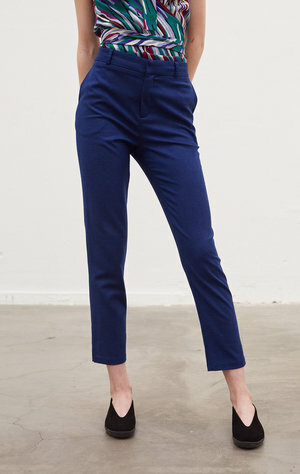 She wore her Greta jacket and By Malina pants. In the afternoon, she and Prince Daniel held a literacy salon at Haga Palace. These are secret meetings with various influential people around Sweden. Little is known about these events as they are not announced and often not publicized. Crown Princess Victoria spent October 11th in Malmö, Sweden. She attended the Life Below Water conference, opened the Marine Education Center, and paid a visit to the World Maritime University. She wore new Rodebjer jacket and pants (thanks Svenskdam), an H&M top, AF Klingberg boots, Dagmar bag, and Krueger earrings. On October 13th Crown Princess Victoria attended a sled hockey match between Sweden and the Czech Republic in Ostersund, Sweden. It was a qualifying match for the 2018 Paralympics in Pyeongchang. She wore a new Acne coat, Hunkydory blazer and a Baum und Pferdgarten blouse. Her boots are new and remain unidentified- they are very similar in color and style to Stella McCartney but they are not the same fabric. On October 16, King Carl Gustaf and Crown Princess Victoria attended an information council meeting at the palace. 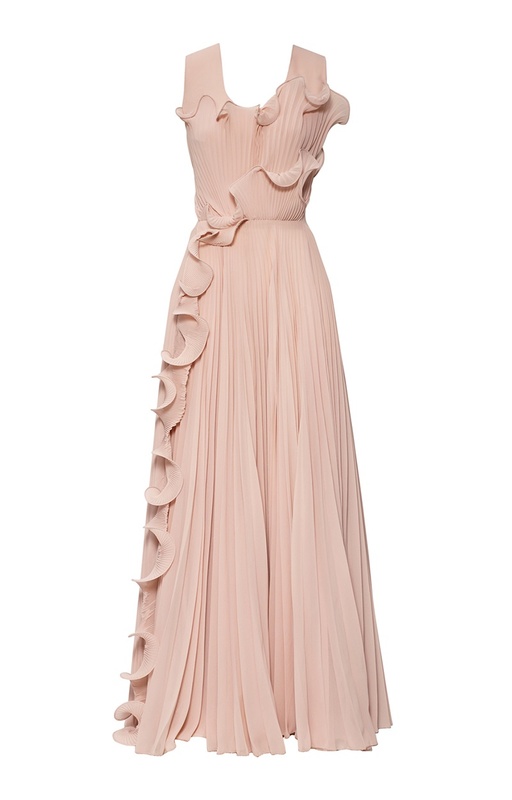 Crown Princess Victoria wore her By Malene Birger dress. In the evening, the King, Queen, Crown Princess, and Prince Daniel attended a dinner honoring the 70th birthday of H&M founder Stefan Persson. Victoria wore a UFO top, MaxJenny skirt, Stella McCartney shoes and bag, and Krueger earrings. Crown Princess Victoria attended a service held by the Swedish Riksdag to recognize Finland's 100th year as an independent state. She wore a UFO blue dress (blue is a color associated with Finland), By Malene Birger pumps, Stella McCartney bag, and Sophie by Sophie earrings. 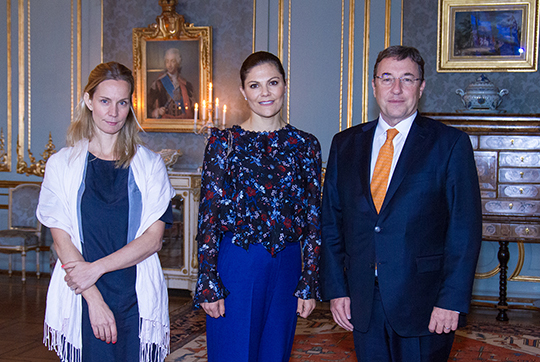 Crown Princess Victoria hosted several meetings at the a Royal Palace on October 19th. She had audiences with the Rare Diseases Association (something Sarah was very excited to see) and the Speaker of the New Zealand House of Representatives David Carter. She wore her Gestuz top and skirt and a new By Malene Birger Dipple clutch. Crown Princess Victoria and Prince Daniel attended Gen-Pep's Pep Forum on October 20th. It was held at the Karolinska Institute. GenPep is the initiative that Daniel has been heavily involved with that was formed by the Crown Princess Couple's Foundation. 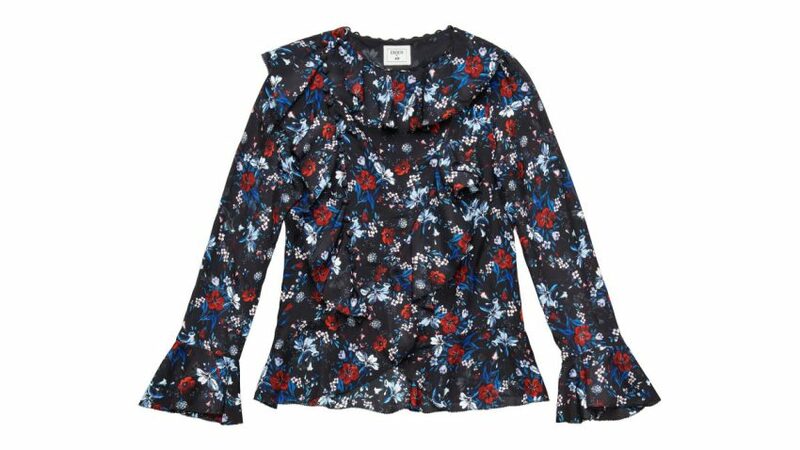 Victoria wore a top and pants from the new Erdem for H&M line (thanks Heaven and Cecile). She carried a Valentino bag and wore new Stinaa J pumps (found by Laura and Sarah). That evening, Prince Carl Philip and Princess Sofia attended a black tie dinner that raised funds for Project Playground, the foundation that Sofia co-founder. She wore a Greta top and skirt and Mix & Match bag. Victoria hosted a meeting at the Royal Palace on October 21st with members of the UN's Development Program Achim Steiner and Caroline Åberg. 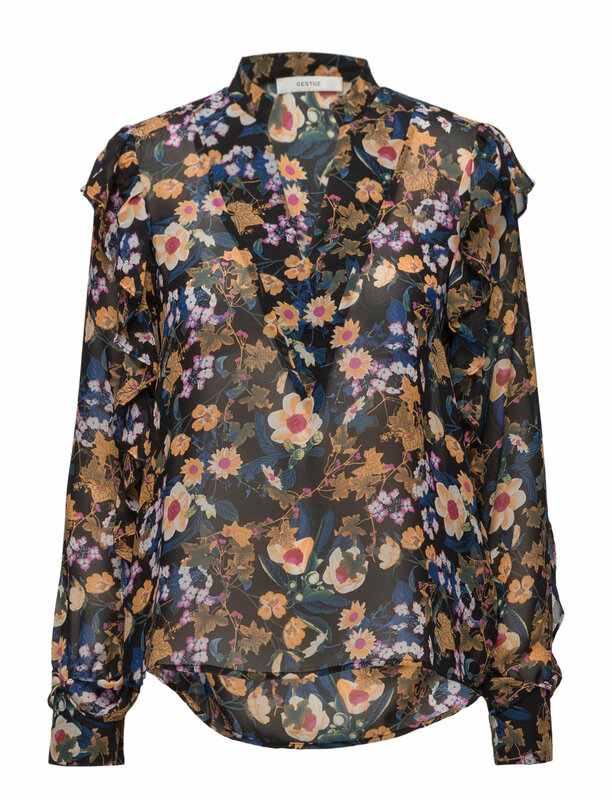 She wore another blouse from the Erdem for H&M collection. Victoria attended a meeting of the International Paralympic Committee's Honorary Board held at the Royal Palace on October 24th. In the evening, she hosted the board for dinner at Haga Palace. During the day, wore her Ralph Lauren dress but changed into a new skirt from Erdem x H&M. In her hair it appears to be a Corrine Hair Bow but I am unsure of what color. On October 25th Victoria attended the naming ceremony for a children and youth hospital in Linköping. The hospital will be called HRH Crown Princess Victoria's Children and Youth Hospital. She wore her Rodebjer jacket and pants, a new top from Camilla Thulin (thanks Svenskdam), AF Klingberg ankle boots, and Valentino bag. Later, she continued her series of walks. This one was in her daughter Estelle's duchy of Östergötland. Victoria walked through the Tinnerö Natural Reserve. She wore a Houdini jacket over a knit sweater and her Camilla Thulin Teddy top and Merrell hiking boots.